Diageo, the world’s biggest spirits company, plans to roll out a female-branded version of its Johnnie Walker scotch brand called Jane Walker, the latest move by the liquor giant to woo female drinkers in the US. Diageo says Jane Walker, a limited-edition version of Johnnie Walker black label, will go on sale starting in March. 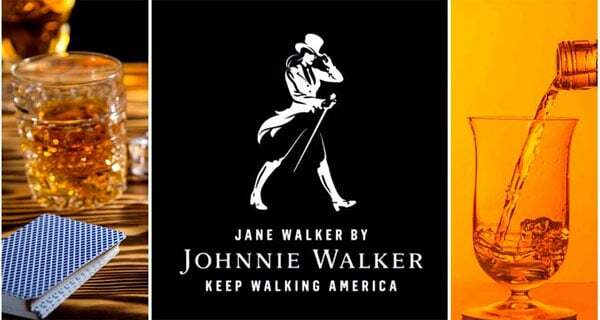 It has revamped the iconic Johnnie Walker logo for the first time in over a century to show a woman in boots mid-stride tipping her hat. The marketing ploy comes on the heels of a Diageo campaign called #LoveScotch, which has splashed pictures of attractive young women drinking Scotch together across billboards, social media and magazines in dozens of countries. “We realised we should be successfully and actively marketing to women,” said Diageo’s chief marketing officer, Syl Saller, in an interview with The Wall Street Journal last year. The share of US whiskey drinkers who are women ticked up to 29.6% in 2016 from 28.2% in 2010, according to Nielsen. “As whiskeys have expanded and experimented with new flavours, such as honey, maple, cinnamon and apple, it has helped attract more women to the drink,” said Danny Brager, who heads Nielsen’s US beverage alcohol practice. The female-branded Johnnie Walker bottle will be available across the US at $34 for a 750ml bottle, the same price as the regular Johnnie Walker black label. Johnnie Walker for decades marketed its scotch mainly to men. A 1988 ad for the scotch brand reads: “He loves my mind. And he drinks Johnnie Walker.” The caption was incongruously accompanied by a picture of the backs of two women in bikinis on a beach. In recent years, Diageo has shifted gears to make its products more attractive to women. “The way we do that is not by making things pink. It is by being very inclusive in our communications, targeting women and men with our communications,” said Ms Saller. The alcohol industry’s new focus on women isn’t uncontroversial. Public-health researchers and campaigners point to physiological differences that make women more vulnerable to harm from alcohol consumption than men. Diageo has said for every Jane Walker bottle sold, it would donate $1 to organizations championing women’s causes, up to $250,000. There will be advertising support in print publications such as the New Yorker and Time magazine. The brand will also feature at events such as the coming Women In Film Pre-Oscar Party, toasting all female Oscar nominees.